London, 26 May 2010 – The website for the independent player protection and standards body eCOGRA (http://www.ecogra.org/) re-launched this week with a fresh presentation and added content following an extensive revamp. 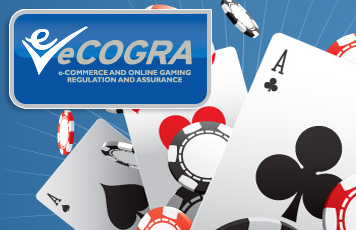 Commenting on the changes, eCOGRA chief executive Andrew Beveridge said that the decision to conduct a revamp – the second since eCOGRA’s launch seven years ago – was principally motivated by a desire to make the site easier to navigate for players. In order to accommodate the significant expansion of eCOGRA’s commercial services to the industry, the site content on this operational activity has been widened to reflect the number of new services now being offered by eCOGRA, and the professional qualifications and capabilities of its staff, Beveridge added. “Visitors will now find full details of business added-value services available from eCOGRA’s professional staff of 12 Chartered Accountants, IT specialists and Auditors, he said. “These include the original Safe and Fair Seal, the Certified Software Seal, independent Payout and RNG Reviews, Accredited Testing Agency Services, the Affiliate Trust Seal, and the Reputable Portals Seal. The new site includes explanations on how eCOGRA maintains independence in its activities, and the impressive business credentials of the four Independent Directors who control day-to-day operations and are responsible for overseeing compliance work and the award of the highly respected accreditation seals. Other useful content includes industry-relevant news bulletins, an email newsletter service and a media room where press releases issued by the non-profit organisation may be viewed.